When I asked the locals at Ducati which road or route they would recommend south of Bologna, the reply was unanimous; The Futa Pass. 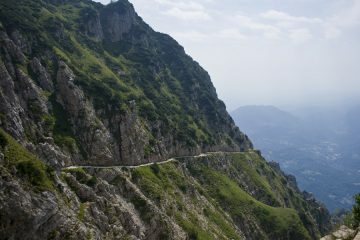 So, on a recent tour of Central Italy, we took their word for it and made a beeline for the 36-mile-long mountain pass just a short ride away from Bologna. 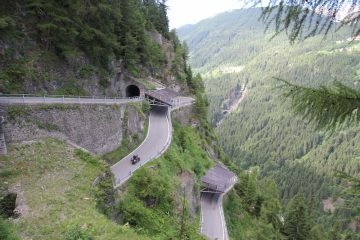 The Futa Pass has gained legendary status amongst bikers in the area and, in all our travels through Italy, I don’t think we came across a road so dominated by motorcycles. 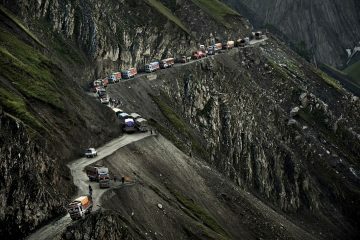 When we travelled through, I’d say that for every car there were 30 or more bikes blasting their way over the pass. The other point of note was the nature of the bikes and riders. 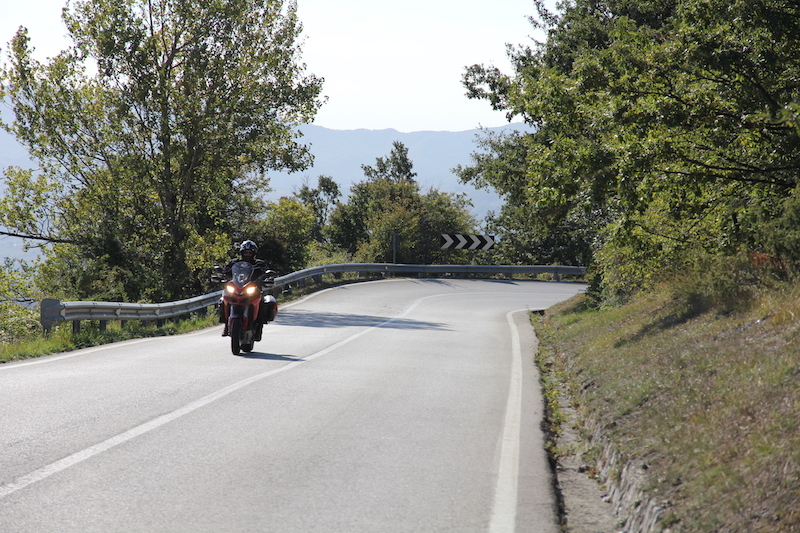 Whilst adventure bikes had been the dominant breed on every other road we’d travelled in Italy, the Futa Pass is a mecca for sportsbike fans and, with the home of Ducati just to the north and the Mugello Circuit nearby, maybe that should have been no surprise. 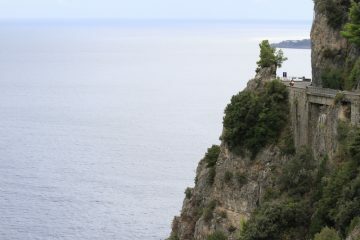 The pass tops out at 903m and the road to the crest is, I have to admit, just made for opening up. Fast sweepers, tight hairpins, chicanes, undulations, short, sharp sections… It’s a wonder they bothered making a purpose-built track so close when the Futa was on hand. 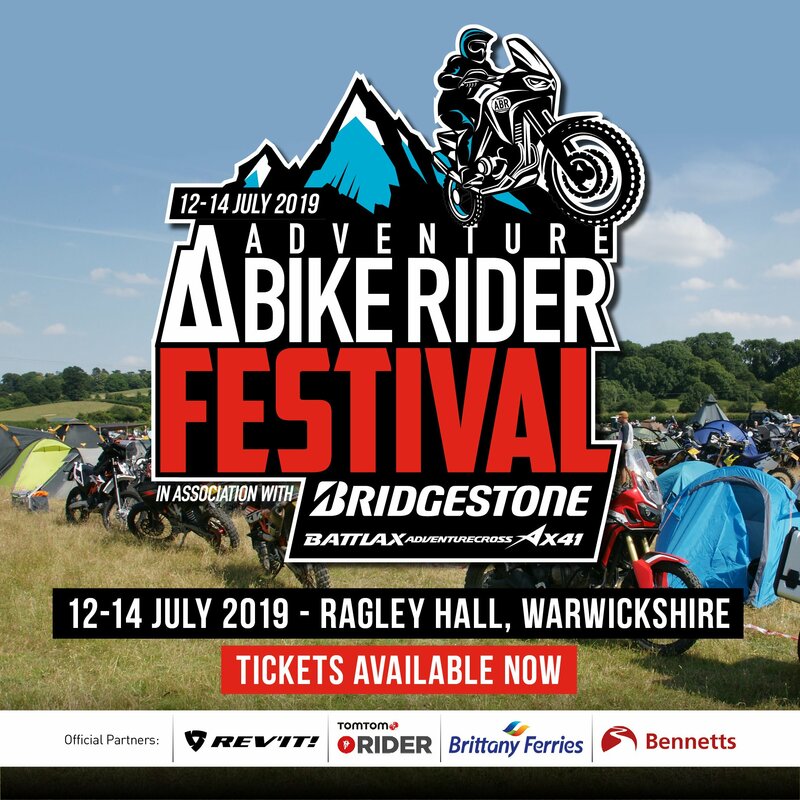 The riding here is sublime, but it’s also a magnet for motorcycle enthusiasts around the country, so expect to have plenty of company as you wrestle your bike around each bend. Aside from the motorcycle interest, the Futa was a major part of the Gothic Line during World War Two where the Germans made their last defensive stand against the advancing allied forces. 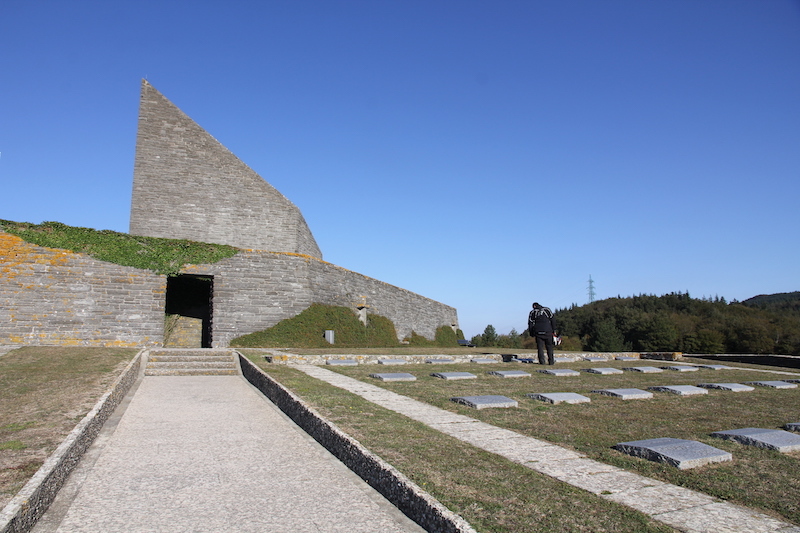 There’s a well-tended German military cemetery at the top of the pass that’s worth a visit. 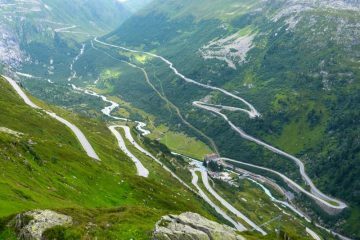 If you’re planning on riding in Italy, then you’ll want to make sure that the Futa Pass is included in your itinerary, but there are so many other fantastic roads to also consider. 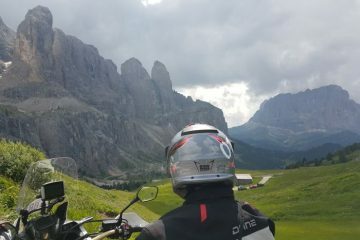 The Stelvio Pass, the Colle del Sommeiller (a real adventure motorcycling gem), the majestic and beautiful Sella Pass in the Dolomites to name but a few are all worth your time, and we’ve included the country’s best roads in our free 24-page guide to riding in Italy, which you can download below. Simply enter your details and you’ll get free access to the guide. Enjoy!